(CNS): The Cayman Islands Hospital Blood Bank, with the support of the Cayman Blood Donor Service, has begun a blood drive, which will run until 24 December. 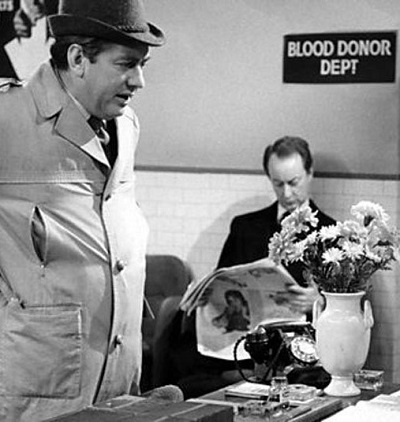 Officials said that one pint of blood can save up to three lives, as they urged people to help increase the hospital supply. People can walk in to give blood and the blood bank will be open Monday through Friday 7am until 6:30pm and on Saturdays 9am until 5pm. The team will also be in the hospital atrium this coming Saturday, 29 November. However, the hospital does not accept blood from anyone who lived in the UK for more than three months from 1980 to 1996 because of the possible transmission of CJD ('mad cow's disease'). Donors who wish to schedule an appointment can call 244-267. (CNS): As the death toll in the world’s worst ever outbreak of the Ebola virus reaches close to 5200 the Cayman Islands government has budgeted almost $3million on equipment to prepare the country for the possibility of an infected patient arriving here. 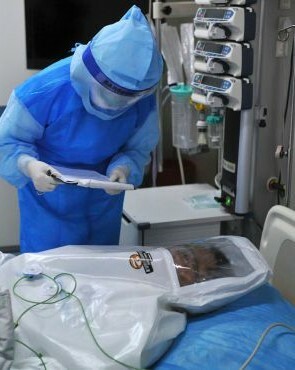 There have been no cases of Ebola in Cayman or anywhere in the Caribbean though a number of Cuban doctors working in West Africa are believed to have been infected. But as a precautionary measure medical personnel and government officials are still continuing preparations for the unlikely event of a case in Cayman. Officials said government has now spent $1.2M on an EVD-rated Odulair field hospital and another $1.7M has been earmarked for inpatient staffing, EMS premium, training for staff and supplies. The field hospital, which is expected to arrive in Cayman soon, has eight beds and will be established on the grounds in the existing staff parking lot it will also include a ventilator, dialysis, monitors, wheelchair, laser thermometer and 36 reusable helmets. A temporary isolation area has been identified and is in the process of being equipped and supplied to be used if a case is detected before the field unit arrives. Hospital staff members have also been identified as front-line EVD carers and additional training took place abroad about two weeks ago for select H.S.A staff. The Minister for Health Osbourne Bodden has urged residents of the Cayman Islands not to panic but to be aware of the virus, and to get proper advice as required. “Although the threat is very low, things could change and for that reason we should not be complacent,” he warned. Globally, more than 14,400 people have been infected in six countries. The largest numbers have been in the West African countries of Guinea, Liberia, Sierra Leone and more recently Mali. A small number of patients were also infected Nigeria and Senegal. The virus has spread to Spain and the US in particular through health care workers. While there have been no new reported cases in the Caribbeanor US within the last three weeks, there has been a death of a doctor flown in from Sierra Leone for treatment of Ebola increasing the death toll to two in America. The two nurses that contracted Ebola in the USA, along with the doctor in New York, are now disease free. There are currently also travel restrictions in place for visitors or residents returning to the Cayman Islands from endemic countries. Visitors or returning residents from the endemic countries, or persons who have travelled to, from or through Guinea, Liberia or Sierra Leone within 21 days of their planned arrival are not allowed to land in the Cayman Islands. To ensure application of this travel restriction, the Immigration Department has developed a Travel Health Questionnaire which has been distributed to all airlines. All passengers including Caymanians/Cayman Status holders, returning residents and visitors are required to complete the form. In efforts of early detection, cruise ships also have internal mechanisms to ensure implementation at local boarders. Medical Officer for Health Dr Kiran Kumar said Cayman’s precautionary and preventative measures were in compliance with CARICOM’s Heads of Government adopted plan of action. “The global picture is changing every day. Hence in addition to the countries with travel ban travellers from Mali also will be subjected to health screening and quarantine measures on arrival in Cayman,” he added. With steps ranging from public education to training and execution, the ultimate goal of the plan is to protect residents against Ebola. The virus is transmitted through direct contact with the blood or body fluids such as blood, saliva, mucus, vomit, urine or faeces of an Ebola Virus Disease infected person (alive or dead). For example, touching an infected person’s eyes, nose or mouth or an open cut, wound or abrasion can transmit the virus to the person touching. However, any person thus exposed to the virus but without symptoms cannot transmit the virus. The public is asked to avoid such exposures and maintain personal hygiene through sanitisation and hand washing. (CNS): Despite expectations that cases of chikungunya would increase in the Cayman Islands as a state of emergency regarding the virus exists in neigbouring Jamaica, public health officials confirmed Wednesday that there were no new cases here over the last week. However Dr Kiran Kumar the Medical Officer of Health urged people not to be complacent as there were two further cases of dengue fever confirmed one of which was in a patient with no travel history. “With positive chikungunya and dengue cases, it emphasizes the need for the public to protect themselves from mosquito bites and take measures against mosquito breeding,” the doctor added. The total number of confirmed chikungunya cases in the Cayman Islands remains at 34 to date with 10 locally transmitted cases. However, the problem Cayman now faces is that the numbers in Jamaica are very high where there is a virtual epidemic of the virus which was unheard of in this region until last year. The health minister, Osbourne Bodden said that there was very little that health officials can do to prevent the virus from entering the country given the situation in Jamaica but the said the focus was on keeping down the numbers and fighting the major cause – the aedes egypti mosquito. Currently, the majority of people who have picked up the chikungunya virus overseas did so in Jamaica with 18 people being infected there. Dr Kumar also said that results from five blood samples sent between 11-17 November and 19 previous samples are still awaited none of which have a travel history. Chikungunya causes fever, severe joint pain, muscle pain, headache, nausea, fatigue and rash. Officials urge anyone who may be experiencing these symptoms to immediately see a healthcare provider. They also remind the public to use mosquito repellent with DEET on the skin, and wear long sleeve pants and shirts when outside during times that mosquitoes bite, whether in the Cayman Islands or on travels. As of 14 November cases of chikungunya across 35 Caribbean countries had reached 16,334. Further information can be obtained through www.hsa.ky. Regional updates can be accessed on the CARPHA website http://carpha.org/What-We-Do/Public-Health-Activities/Chikungunya. United States updates are available from the Centers for Disease Control and Prevention on http://www.cdc.gov/chikungunya/geo/united-states.html. (CNS): The Movember Committee has donated US$100,000 towards the new Chemotherapy Unit at the George Town Hospital. The biggest single gift so far towards the new ‘state-of-the-art’ unit, which officially opened last week, the funds come from the money raised over the last few years when volunteers began growing moustaches for charity and created the Movember Committee. The new unit has more than doubled the capacity for patients to receive healing treatment locally, allowing them to recuperate close to their family and homes. “We wanted to show our commitment to the Cancer Society and also have something tangible to show for the fundraising efforts made by our 'Mo Bros' over the last few years,” said Tim Rossiter, Chairman of the Movember Committee about the decision to make such a major donation. “The arrival of a Chemo Unit in the Cayman Islands is a significant addition to the care and treatment of cancer patients. At Movember, our focus has always been to support those with cancer here in Cayman and this seemed like an ideal opportunity to help this incredible achievement. "It is somewhat ironic that the purpose of Movember is to get men talking about their health, but the use of the funds is generally confidential," Rossiter added. "One side effect is that Movember participants don’t get to see the tangible use of their efforts, but this donation to the Chemo Unit changes that. Not only is it a visible landmark of their efforts, it is a vastly improved life style for those suffering and their families. The beneficiaries can literally experience their efforts and the efforts of others over the last ten years, and that makes it all worthwhile,” he said. Jennifer Weber, Operations Manager at the Cayman Islands Cancer Society, said that ten years ago, she doubtedanyone would have been able to foresee men growing facial hair could end up making such a big impact on cancer care. The donation by the Movember Committee comes in the midst of the 2014 Movember activities in Cayman and as in prior years there has been a whole host of events scheduled to encourage and support the men growing moustaches to raise money to beat male cancers. This year’s line-up started with a Sunset Walk along Seven Mile Beach. There is the MO’pen Golf Championship with lots of special prizes and the Gala Awards Night at the Waterfront Café, where the now legendary Movember Awards Ceremony will be held. “We started Movember with the simple idea of raising awareness of male cancer here in the Cayman Islands, given many men ignore their own health, don’t like to discuss it with family and friends and often avoid regular checks,” Rossiter stated. “We are grateful to the Cayman community for embracing Movember, in particular partners like the Lions club and the Cayman Islands Cancer Society. The knowledgeable staff of CICS help those who fall between the administrative cracks where Government and insurance companies cannot provide the support they need. “The good news is we are winning the awareness fight. We have had a five-fold increase in the number of cancer patients CICS are supporting over the last five years. These are people who have no-one else and every dollar counts towards their care and treatment, helping both them and their families at such a difficult time. So please continue to support Movember Cayman, and continue to support the Cayman Islands Cancer Society. Every dollar raised in Cayman is a dollar needed in Cayman – and stays in Cayman,” he noted. For more information on this year’s Movember activities, check out www.movember.ky or the Movember Cayman Islands Facebook page. (CNS): Having recently been diagnosed with Asperger’s syndrome, 8-year-old Hope Academy student Kaydence Whitney said she was keen to help others who have experienced similar social difficulties and peer rejection. Her first step in helping to raise awareness of what many kids and adults go through when they are living with mental health challenges, Kaydence’s design, whichshe submitted for theMental Health Commission’s logo competition, was selected as the winner. She was one of ten students who submitted images but Kaydence’s personal story brings significance to the commission’s identity, officials said, by using her symbolism to help fight the stigma around mental illness. Selecting the winning design was based on adherence to the commission’s mission and advocacy goals. Describing the logo, Kaydence said it represented “all the people who have something different with their brains and how they feel because of it”. The teardrop shapes with words written on them represent the experiences and feelings of a person who has mental illness. At the bottom a person with open arms symbolises the Mental Health Commission. “The person is welcoming everyone, no matter what makes them different, because they give people hope,” said Kaydence. The logo is currently undergoing production and a final copy will be revealed within the next month. Announcing Kaydence’s win on 6 November, the commission presented her with an iPad Mini that was co-sponsored by Tony Cleaver of Cayman MAC Store, Behavioural Health Associates Cayman (BHAC), and The Wellness Centre. The World Health Organization (WHO) defines Asperger's syndrome (AS) as one of the autism spectrum disorders (ASD) characterized by irregularities in social interaction and communication that pervade an individual's functioning. 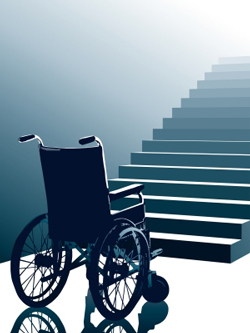 (CNS): The policy document outlining how government intends to improve the lives of people with disabilities was approved by Cabinet last month and officials said this week that recommendations for the 2015/16 budget have been submitted to ministries by an inter-ministerial task force responsible for finalising the plans for the policy’s implementation. A long time in coming the policy was developed by the Cayman Islands Disability Policy Steering Committee. A legal subcommittee also produced a report recommending legislation to advance the rights of persons with disabilities. The law, will include the creation of a council to act as a watchdog for implementation, officials said. Implementation of the disability policy and associated legislation will set the foundation for the Cayman Islands Government to request via the United Kingdom that the United Nations Convention on the Rights of Persons with Disabilities be extended to the Cayman Islands. Stakeholders represented in the process were from Special Olympics Cayman Islands, Rotaract Blue, the Lighthouse School, Sunrise Centre, the Ministries of Education, Health, Community Affairs, the Attorney General’s Chambers, Department of Children and Family Services, Government Information Services, and parents’ groups. 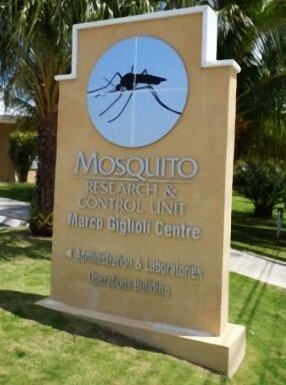 (CNS): Over the last week results of blood tests from four people have confirmed that they acquired chikungunya in the Cayman Islands last month, bringing the number of patients catching the virus locally to ten. Two of these patients live in Bodden Town and two live in George Town and none of them have a recent travel history to affected countries in the region. But with the disease now taking hold in Jamaica and with 18 people, more than half of Cayman’s 34 confirmed cases of chikungunya virus being acquired there, public officials are expecting more local transmissions. “The Public Health Department in collaboration with other agencies such as MRCU, continue surveillance efforts for the identification of locally acquired cases,” Dr Kiran Kumar, the medical officer of health stated in the wake of the most recent results. “With about six positive casesof local transmission in October along with nine suspected cases in the previous week suggest that unless the public protect themselves from mosquito bites and take measures against mosquito breeding especially after the recent rains, we can have more cases,” he added. Confirmed cases have occurred on all three islands and in residents in every district so far except East End. One person so far picked up the mosquito transmitted disease in St Lucia, two in the Dominican Republic, three in Guyana, 18 in Jamaica and now ten people here in Cayman, as a result of being bitten by mosquitos which had previously bitten other infected people. During the past week, 21 results from suspected cases were received and just the four local transmissions were confirmed the rest were negative for chikungunya. There were another 16 suspected cases of Chikungunya reported to the health authorities during the week 4-10 November based on symptoms and seven had travelled to Jamaica, but nine reported no travel history. The hospital is now waiting on results from a total of 19 blood samples which were sent to the Caribbean Public Health Agency (CARPHA) in Trinidad over the last few weeks. As at 7 November 6,280 cases of Chikungunya had been reported from 24 Caribbean countries. Further information can be obtained through www.hsa.ky. Regional updates can be accessed by visiting the CARPHA website on http://carpha.org/What-We-Do/Public-Health-Activities/Chikungunya. In addition United States updates are available from the Centers for Disease Control and Prevention on http://www.cdc.gov/chikungunya/geo/united-states.html. (CNS): A survey of people who attended last year’s Cayman Islands national health conference revealed that over half of them had made healthy changes in their lives as a result of things they had learned. Delegates who responded to the survey said they were making better choices when it came to diet, increased levels of activity and drinking more water. Twenty-one per cent said that had made a ‘significant positive change’ and 42% a ‘positive change’. Over 70% of respondents also said their entire families were influenced by the things they had learned at the conference and had made some changes. These included taking time to talk with the family, eating together and eating healthier together, as well as better work/life balance. An improvement in the way people dealt with their mental health was also recorded as a result of people attending the conference, with an impressive 68% of respondents making a change such as taking breaks when feeling stressed, undertaking exercise, as well as breathing exercises and meeting with a group of likewise individuals throughout the month to talk through any problems. With a clear indication that the conference is helping people to be more healthy and make positive lifestyle changes, organisers said the fifth annual healthcare conference opens on 20 November at The Ritz-Carlton, with a focus on ‘Winning the war against chronic non-communicable diseases’. The survey also showed that people feel the Cayman community is promoting more wellness programmes and fun physical activities, with 71% saying they had noticed more publicity on these types of programmes and events. As a result, some joined weight loss programmes and stop smoking courses. “Making a positive impact on the health and wellness of the Cayman Islands was always a core goal of these events and the Ministry is delighted that this survey demonstrates exactly the results we were hoping for,” said Osbourne Bodden, the health minister. Sponsors for this year include: Tenet Healthcare, Tower, Cayman Islands Health Services Authority, Dart, Health City Cayman Islands, CONCACAF, UnitedHealthcare Global, Cancer Treatment Centers of America, Cleveland Clinic, Baptist Health International, Marsh, Cerner, BritCay, University of California-San Diego, Aitheras Aviation Group, Aon Risk Solutions, CINICO, Broward Health, The Wellness Centre, Fidelity, Heart Health Centre, Saint Luke’s Mid-America Heart Institute, Generali and many other exhibitors and not-for-profit organisations. Visit www.healthcareconference.ky to register or stay up to date on the Facebook page. (CNS): Following the commitment by Dr Devi Shetty before Health City Cayman Islands opened that it would offer life-saving operations to children in need from around the region free of charge, four young Haitian patients returned home last week after successful heart operations. The youngsters, aged between 6 and 16, travelled to Cayman last month for the vital surgeries performed by the Shetty hospital’s surgeons led by Dr Binoy Chattuparambil, a senior cardiothoracic and vascular surgeon, and Dr. Sripadh Upadhya, a senior paediatric cardiologist. The children were identified by Haiti Cardiac Alliance, a US-based charity, as being in desperate need of the heart operations. Owen Robinson, Executive Director of Haiti Cardiac Alliance, said there are more than 200 children on its surgical waiting list, a number that grows by the week. "Half have conditions that can't be dealt with in Haiti because they are too complex. These young people may also need intensive care after surgery. We are so excited to be working with Health City because we knew they would have the facilities and abilities that we don't have in Haiti right now." Robinson said the surgeries went incredibly well and the young people were up and about soon after surgery, eating, smiling and relieved they were through the ordeal. "Staff at Health City were incredible, not only within the hospital, but they also went shopping for toys and snacks for the children," Robinson said. "They went out of their way to make the patients feel at home." Dr Chandy Abraham, Medical and Facility Director at Health City, said when his team met with Haiti Cardiac Alliance last year they realised the need. “Haiti Cardiac Alliance does a tremendous job in pushing hard to scale up surgical opportunities in Haiti and overseas, and we were privileged to assist them in reaching their goal of helping those in critical need of help," he added. The surgeries were the first performed under Health City's partnership with Have a Heart, a philanthropic organisation formed in 2000 by Harry Chandi and Manu Chatlani. Digicel, also facilitated transportation for the young patients and their parents to and from the Cayman Islands. Raul Nicholson-Coe, Chief Operating Officer with Digicel Cayman, said the company was committed to giving back to the communities where it operates and he said he hoped this was the beginning of a much wider initiative. Owen Robinson said Digicel's contribution was significant. "Without the use of the company's plane the youngsters would have needed to travel via the United States and would require transit visas – adding thousands of more dollars in airfares which was not a viable option," he said. Gene Thompson said Have a Heart Cayman looked forward to extending its charitable offering to many others in dire need. "It's a blessing to see how much better those children were when then left Cayman and the new lease on life they had," he said. (CNS): As the total number of confirmed chikungunya cases in the Cayman Islands climbs to 30, public health officials confirmed that a sixth local transmission has now occurred in a patient in George Town. Five results were received by the hospital this week from blood samples sent to the Caribbean Public Health Agency (CARPHA) in Trinidad. Just one was positive but it was also confirmed as a local transmission. There are a further 25 pending cases awaiting confirmation but with the ongoing an outbreak of the virus in Jamaica, Cayman is battling to contain the virus. “The Public Health Department in collaboration with other agencies, such as MRCU, continue surveillance efforts for the identification of locally acquired cases. With only one positive case of local transmission since the week beginning 27 October to date, the containment measures are proving to be effective so far," said Dr Samuel Williams, Acting Medical Officer of Health. So far in Cayman, 11 people living in George Town, four from Cayman Brac, seven in West Bay, five in Bodden Town, two people in Little Cayman and one in North Side have contracted the virus. With six people picking up the virus here via mosquito transmission, the rest acquired chikungunya overseas. Public Health said two contracted the virus in the Dominican Republic, three in Guyana, one in St Lucia, while 18 people have now got the sickness in Jamaica. Chikungunya causes fever, severe joint pain, muscle pain, headache, nausea, fatigue and rash. Officials urge anyone who may be experiencing these symptoms to immediately see a healthcare provider. They also remind the public to use mosquito repellent with DEET on the skin, and wear long sleeve shirts and pants when outside during times that mosquitoes bite, whether in the Cayman Islands or on travels.